The Flash Review (S2E3): "Family Of Rogues"
'Family Rogues' brings 'The Flash' back to their sweet spot of telling an engrossing main story with intriguing subplots. 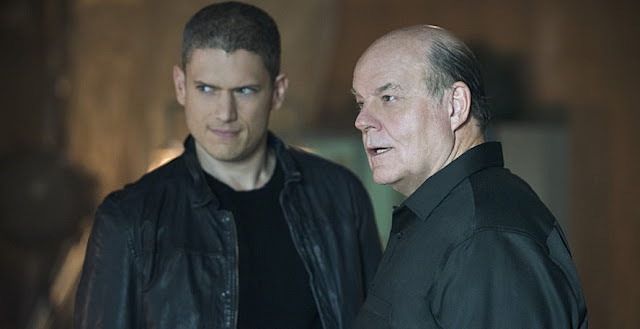 It's a family affair when Papa Snart (Micheal Ironside) returns to Central City to go on a crime spree with his boy Captain Cold (Wentworth Miller). The show sometimes feels like it has to wedge some episodes with so much information it can seem bloated and rushed. This week it was just the opposite. Barry's (Grant Gustin) frenemy, Leonard Snart, is having daddy issues. His dad, Lewis, is and was a crappy father. He's forcing Leonard to steal or his sister Lisa goes boom because of the explosive device he put in her head. See, Papa Snart was an abusive prick to Lisa growing up and Leonard's always been protective of her. Luckily, she lands at STAR Labs for help. Miller is so smooth and sardonic in his role as Captain Cold it's no surprise he'll be joining Legends of Tomorrow mid-season. The dynamics between Barry and Leonard have been some of the best moments of the series. Barry sees the good in him, but Leonard relishes the role of the bad guy too much to change. They get more screen time together as Barry joins his crew undercover leading to a dramatic and satisfying climax. Meanwhile, Cisco tries to save a flirty Lisa from her head exploding. She finally seems sincere in her interactions with Team Flash even revealing the abuse she endured from her father. It makes Cisco even more determined to help her. The suction gun he devises to withdraw the explosive becomes a race to the finish as Barry has to stop the Snarts elsewhere. As usual, Joe (Jesse L. Martin) is the emotional compass for the show. Whether he's given Barry heartfelt advice or angrily dealing with the arrival of the wife that abandoned he and Iris (Candice Patton) years ago, Joe brings the gravitas each situation requires. So when he has to tell Iris her mom was never really dead just a drug addict that walked away prepare for waterworks. A much more centered and mature Iris handles the news surprisingly well as she sees the pain in Joe's face. Just a marvelous scene that makes 'The Flash' more than just a superhero show. Despite upgrading the security in STAR Labs from what was seemingly a swinging screen door last season where anyone could just stroll in, Jay Garrick (Teddy Spears) and Caitlin Snow (Danielle Panabaker) created a portal between both Earths that brought an unexpected visitor. Between the coy looks of Garrick and Snow, they may not have realized the portal works both ways because who drops in late at night?None other than Harrison Wells of Earth-2 himself. With Professor Stein heating up and passing out without Ronnie around, Wells' scientific mind could prove helpful. It's the perfect cliffhanger propelling us to the next episode where the answer looks to be Jax Jackson, Ronnie's possible replacement. 'The Flash' keeps rolling on as the best superhero show on TV. Check out this preview for episode four, "The Fury of Firestorm." 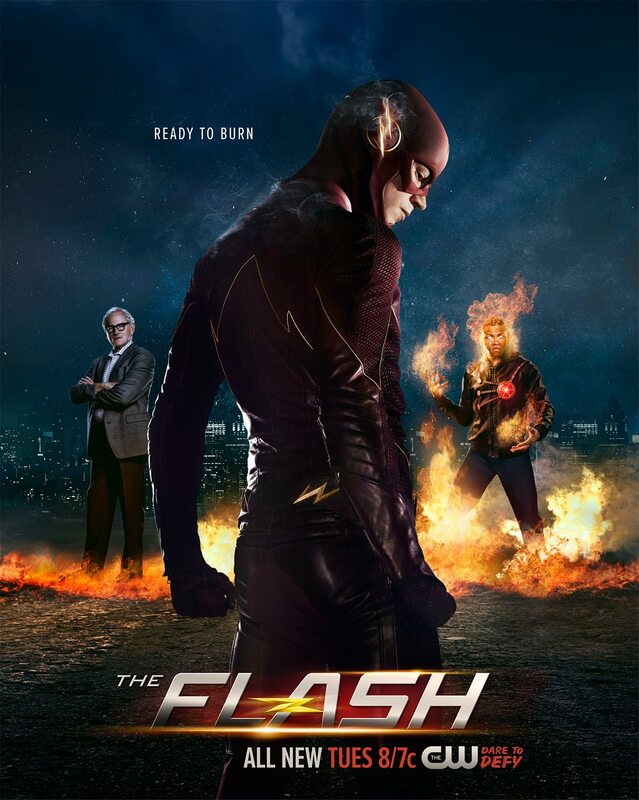 Barry (Grant Gustin) and the team look for another Firestorm match for Dr. Stein (Victor Garber). When the team meets Jefferson “Jax” Jackson (guest star Franz Drameh), Caitlin (Danielle Panabaker) has her reservations about whether Jax is the right match for Dr. Stein. Iris (Candice Patton) surprises Joe (Jesse L. Martin) while Barry and Patty (guest star Shantel VanSanten) grow closer.